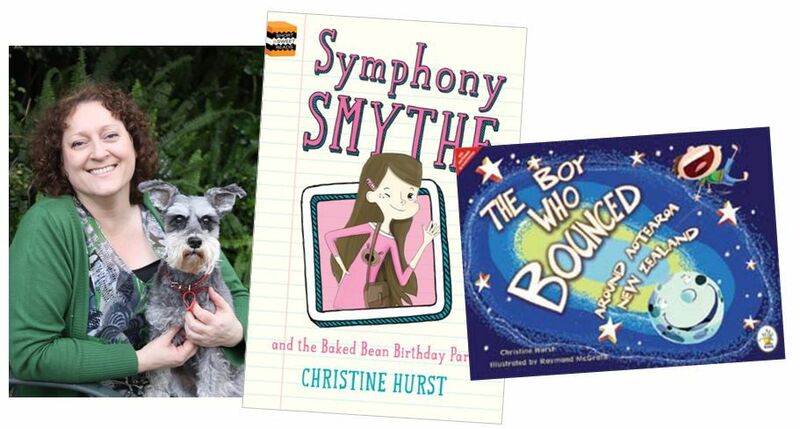 INTERVIEW: Christine Hurst ~ Children’s Writer – You Can't Hide the Spark! I started writing about 15 years ago – relatively late in life compared to some writers. I was made redundant after nine years at one place and they sent me on a retrenchment programme. The expert asked me what was my passion, what had I wanted to do all my life, as now I had the opportunity. I was horrified to realise that I wasn’t doing anything for myself, anything that filled me with passion, anything creative. That night I saw an ad for a creative writing workshop and I knew that was for me. It was kind of spooky! How did you know you wanted to write children’s books? The creative writing course had me trying all sorts of things but I had visions of me being the next Stephen King/Lee Childs – thriller writer extraordinaire. Sadly my first thriller/mystery novel was pretty dire. I switched to writing children’s books after my son was born in 2001. Naturally I started reading books to him. I hadn’t read any children’s books since I was a kid myself, and a lot had changed. Picture books had moved on from the stuffy, preachy books I remembered. They were fun, vibrant and often quirky. I loved them and I knew that this was what I wanted to write – fun and quirky stories! I knew I had found the ‘thing’ I wanted to do. What did people say when you told them you wanted to be a children’s author? Hmm. Some were all like, “Oh, that’s nice, dear,” while others were right behind me. It probably wasn’t until I had my first book published that those around really understood that I was serious. One of the issues with being a children’s writer is that some people see it as a step towards writing ‘real’ books for adults, or as some kind of practice time in your life. So there is a prejudice that we children’s writers need to battle continuously. The million-dollar question: how did you become published?! I’d been writing for about five years when I joined a writing group and met some fantastic people. When they asked what I had submitted I had to admit that I hadn’t submitted a thing. I was scared. So they pushed me to submit, and after 40 – that’s not a typo – rejection letters I was ‘bloodied’. We had a ceremony one year, ripping up the letters and burning them. But had I one story that I believed in. It was called The Boy Who Bounced Around the World which I had submitted to several places to no avail. Then I changed the setting to a local (New Zealand) setting and submitted it to a local publisher who specialised in New Zealand books. They accepted it. I was overjoyed as you can imagine. It took another two years before the book was on the shelf – publishing is a slow process. Shortly after that I was commissioned to do a non-fiction book for an education publisher. This was a complete departure for me, and I loved it. How successful was your first book? The publisher did a print run of 2000, which is pretty standard for children’s books in NZ. They were sold out within about 18 months. I wasn’t offered an advance and I didn’t argue – it was my first publishing offer and I didn’t mind too much. My royalties were 8% of net sales. So that’s 8% of what’s left after tax, distributor discounts and retailer discounts have been taken off. Frankly, it’s not much. Did you do any publicity? I did heaps! Even back in 2007 I understood the value of networking and blowing my own trumpet. Luckily for me, I was working at a school library, so I did heaps of reading of my book to the school kids. I offered myself to local schools as their book-week author, and went to dozens of schools to read my book. I didn’t charge for these visits (whereas these days I probably would), but I made it clear that my travelling would need to be covered and often got petrol vouchers, or book vouchers, which was cool by me. I created a ‘show’ to put on when doing school visits. I think it needs to be more than just reading your book. I had a map and I’d ask the kids to come up and put dots on the places the boy bounces to. And I’d give out bookmarks, which my publisher had kindly paid for (although after I ran out, I got a local printer to do them for free by asking nicely and they ‘tacked’ it on the end of a bigger job, in the cut off space that would have gone to waste anyway). Is being a published author what you expected? Yes and no. I didn’t think it would change the way I feel about writing and it hasn’t. Twice now I’ve been recognised by kids in the shopping mall which is great for one’s ego! But I like the feeling of having all those little faces waiting to hear what you’ve got to say. It feeds the soul! Has it changed you in any way? I imagine that if I was on my own, I would be writing in a cold attic somewhere, but because I have a husband and son who, while really supportive, require some of life’s creature comforts like food and shelter, I have had to fit my writing around paid employment. I sometimes don’t get time to watch all the episodes of Law and Order – does that count as sacrifice? Seriously though, I guess because I am a realist, my writing has suffered. And by that I mean, I am not free to write 10 hours a day every day, so the creativity comes in fits and spurts. Have there been any moments of doubt? Yes, definitely! I think all writers doubt themselves and I try to remember that when I’m in a dark place. It’s natural for most human beings to question the quality of their output. Some people don’t do that, but secretly I think they might be aliens. If your writing goal is to be published and you haven’t been published yet, that can be hard to combat. I keep re-reading my work and reminding myself that while it might not be as good as some, it’s the best I can do. Believe in the work! Wake up at 5.30 am and write for an hour before getting ready for work [Christine is a librarian at a family history centre]. I work all day, then get home and be a domestic goddess. You can tell I’m a writer because I made that last part up. It’s more like ignore housework and cooking so that I can read emails and do some writing. As is often the way with writers, I am working on several projects at once – a novel for 13-14 years olds called The English Dictionary, a sci-fi novel called Retrovirus and a picture book called The Worry Wart. My first project for my publishing company is a series of early chapter books about a character called Symphony Smythe. I’ve had the stories in my head for many years, so it’s great to be finally doing something with them. I hired an editor and a book designer to make sure my books are professional looking and polished. I found an illustrator that I just adore and she has brought my character, and her family, to life. I am thrilled with the result, which should be ready for market by early September 2013. A key project for me is to document the self-publishing journey, so that I can write a book to help other children’s authors. There is an overwhelming amount of information out there and if I can help other writers, I will. My biggest dream is to be a full-time writer, or at least a writer/publisher, and to have the freedom to structure my day, my week and my month around me and my family. I am going to reduce my paid employment to part-time hours so that I can concentrate on more writing, but it’s kind of a catch-22 because I need to earn more money from my writing before I can afford to reduce my hours. Success is such a hard thing to quantify. To me, I’m still on the road to success, so I’m not quite there yet. But I am enjoying the journey and I think that is key. I also believe in sharing the successes with those who support you. Value your ‘team’, whether that’s just your nearest and dearest, or a whole crew of professionals and writing buddies. What advice would you give anyone who wants to become a children’s author? Run away! No seriously, writing is hard. It can be lonely, it is extremely doubt-filled and the money is pretty poor for most writers. But if you have a passion for it, it will be very rewarding. If children’s writing is your thing, embrace it. Remember the joy you had as a child reading, but don’t make the mistake of writing stories like you read as a child. The world is a different place today. Read widely. Read kids books every week. Go to the library and borrow at least four picture books a week – feed that inner child! If you could go back in time to when you were a child, what would you say to yourself knowing what you know now? I’d tell myself to start writing earlier, and to believe in myself more. Oh, and don’t lie about scratching your brother’s Led Zeppelin record. He knows it was you and you will be punished.